cPanel’s Addon Domain feature allows a webmaster to control multiple domains from a single hosting panel. 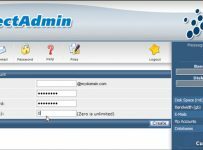 An addon domain is a fully functional, independant domain that can be hosted within your existing cPanel account. 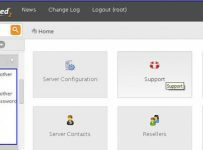 Addon domain functionality provides you an option to host and manage more than one domain from a single control panel. Both the existing domain and the addon domain will store their files inside your document root (public_html) directory – but in two different sub-directories. Although an addon domain uses the document_root and cPanel interface of another existing domain, there is no parent-child relashionship between the two. The addon domain will act as a seperate domain altogether, with no references to the existing domain name. 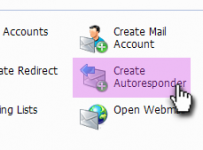 The tutorial presented below describes the procedure for configuring an Addon Domain on your cPanel hosting interface. STEP 1: First and foremost, please make sure that you have already registered the domain name and the DNS nameservers point to your existing hosting account. Once the DNS changes have been propagated (which can take 24-72 hours), login to cPanel. Search for the “Domains” section on the home page of your cPanel account. Click on the corresponding icon denoted as “Addon Domains”. STEP-2: Once you are done with the above, you will be asked to provide the details of the new domain name that you wish to add to your hosting account. Fill in the requested details on the corresponding input boxes and click on the “Add Domain” button. STEP-3: A confirmatory message will be displayed notifying you about the creation of your addon domain. cPanel’s File Manager option can be used to browse to your document root and then to your addon domain sub-directory in order to manage the the files/folders specific to this newly added domain. Parked Domain is a domain name without an associated website. The main intention behind parking a domain is to prevent domain squatting. Reputed organizations often park domain names that are closely matched with their existing domain name for the purpose of brand safety. Parked domain allows webmasters to point additional domain name(s) to their existing websites. When a visitor tries to access a parked domain, they will land up on the main domain that the parked domain points to. Let us now get in to the technical details of configuring a Parked Domain on cPanel. 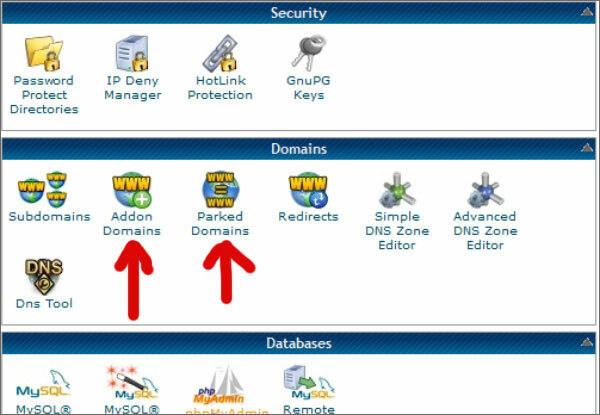 STEP-1: Go to the “Domains” section on your cPanel’s home page and click on the “Parked Domains” icon. STEP-2: You will get to see an input box to add the domain name which you wish to park. Input the root URL of the domain name and click on the “Add Domain” button. STEP-3: A notification will be displayed confirming the successful addition of your parked domain. Alternatively, you can go back to “Parked Domain” interface and the newly parked domain name will be available at the bottom of the page. PS: Please note that the domain name must be registered with a valid domain registrar before adding it to your hosting account as an Addon or Parked Domain. Additionally, you must change the name server settings to point to your cPanel hosting account in order to use the Addon/Parked Domain functionality.